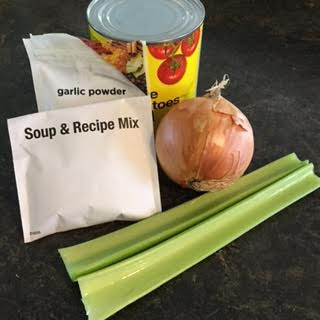 Looking for a hearty and filling soup to warm you up on these cold winter days? I've heard that January is national soup month, so what better time to share this bean soup recipe? 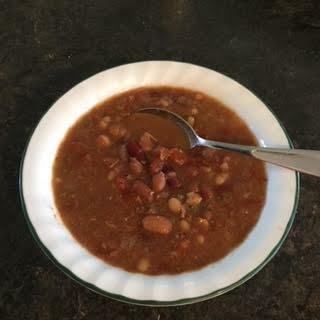 You can use any beans you like...I wouldn't normally have this many varieties of beans in my pantry, but my son worked for a bean co op, where farmers brought in truck loads of beans to ship. 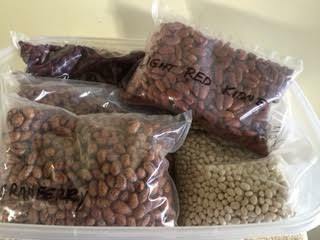 One of the perks of his job was cheap beans, so he brought me home several bags! 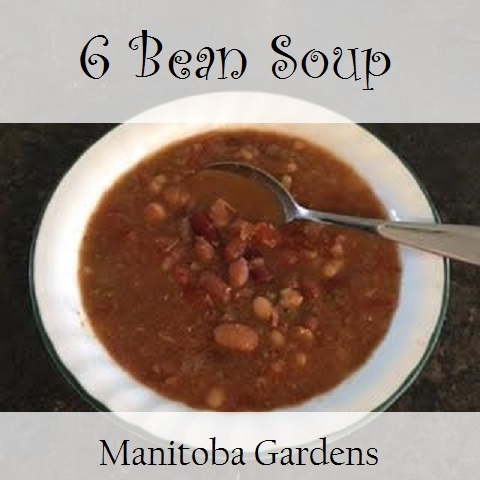 This is the recipe I used for bean soup gift jars, so I've made it simple, with a small spice pack included, and with ingredients most people will have on hand. Of course it can be adjusted to your own taste, by adding whatever spices you like, and fresh garlic could be used instead of garlic powder. 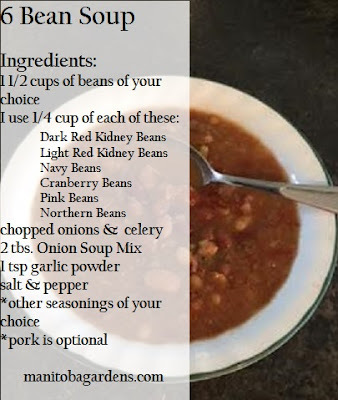 You can also prepare this soup with or without meat, but we prefer it with pork.